Cream mask that stimulates the skin renewal and carries out a visible illuminating action for a moisturized, smooth and even skin. Emulsion that provides radiance, evenness and moisture to the skin. 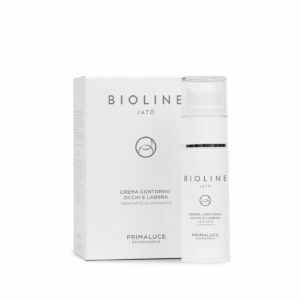 A mix of targeted functional substances carries out a specific action, to reduce the appearance of dark spots. Cream with a renovating and moisturizing action that optimizes skin renewal. It reduces the appearance of the signs of skin ageing, and it refines the grain of the skin, leaving it luminous and even. A specific treatment for the sensitive eye and lip contour zone that nourishes, hydrates and enhances skin elasticity and softness, giving luminosity and freshness to the look. Concentrated serum with an exfoliating action that illuminates the skin and favors skin renewal. 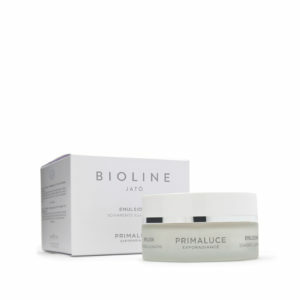 It reduces the appearance of spots and signs of skin ageing, carrying out a visible evening action. Lotion that carries out a slightly exfoliating, normalizing and rebalancing action. 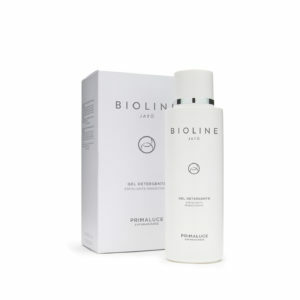 Gentle cleansing gel, perfect for cleansing the skin, eliminating all traces of make-up and impurities. 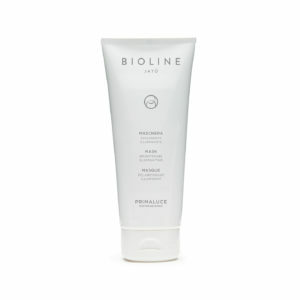 It carries out an exfoliating action, leaving the skin softer and brighter.